How many applicants are there and how many RA spots? The number of applicants varies from year to year. This year we anticipate that there will be 162 RA positions available. These positions are open to returning RA applicants and new RA applicants alike; all candidates are in one selection pool together. I am planning to live with friends in a suite. If I am chosen to be an RA, what will happen to my spot in the suite? Our partners in Housing will work with you to find a replacement for the open spot in the suite. If you have someone in mind and that person has paid their housing deposit, they are typically willing to allow that person to fill the spot. If this is not possible, the suite spot will be fill by another student with guaranteed housing. What can I do to better my chances of being selected? Be yourself! Throughout this process, we want to get to know you and why you think you would be a good fit for the position. We encourage applicants to speak to a current RA about their experience. Time management is an important component of the position and so we encourage you to not rush your application. Late applications will not be accepted. We encourage you to be an active member of your community by attending programs and being a positive influence. All of the listed responses to this question will certainly help, but it will not guarantee you being offered a position. What are the chances that I will get picked up off of the Eligible for Hire List? Each year we do have to hold around 10 spots during our March Selection day, and so those will need to be filled. We also have RAs that get offered a study-abroad experience or co-op in the Spring Semester and will need people to fill those vacancies. This varies as well, but typically an RA should plan for a minimum of 10 and a maximum of 25 hours per week of “RA Work”. There are some weeks that are busier than others and some that are lighter. It’s important to know that people who are most successful at this work have made their RA role a part of their lifestyle; being flexible is also important. 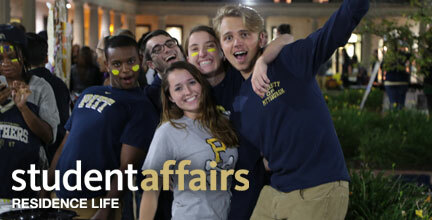 We do ask that outside of being a student, the RA role be your top priority. Do I get to pick which building I will be an RA in? While we value your input into where you want to be placed, ultimately it is up to the RD team to place 162 people in the best possible places. We take your input into account, but you are not permitted to apply for only one particular community. Do I have to stay for breaks? If so, how long? All RAs are expected to stay until the last day that the Residence Halls are open in order to assist with the closing of their residence hall. Additionally half the staff will assist with Health and Safety Checks the Wednesday before Thanksgiving and the other half will stay to assist with those checks during the first Saturday of Spring Break. Each building does have to have at least one RA (some require two) remain in the building over Thanksgiving break as well as Spring break. Should I still pay my housing deposit if I plan to be an RA? If your sole alternative to being an RA is to live off campus, then no, you should not pay your housing deposit. If your plan is to enter the housing lottery if you do not receive the position, then you should pay your housing deposit. If you accept the RA position, your deposit will be refunded/credited back to you. We recommend comfortable, business casual attire for Group Process because you will be moving around, maybe sitting on the floor, and participating in activities. Business casual dress for the individual interviews is appropriate.